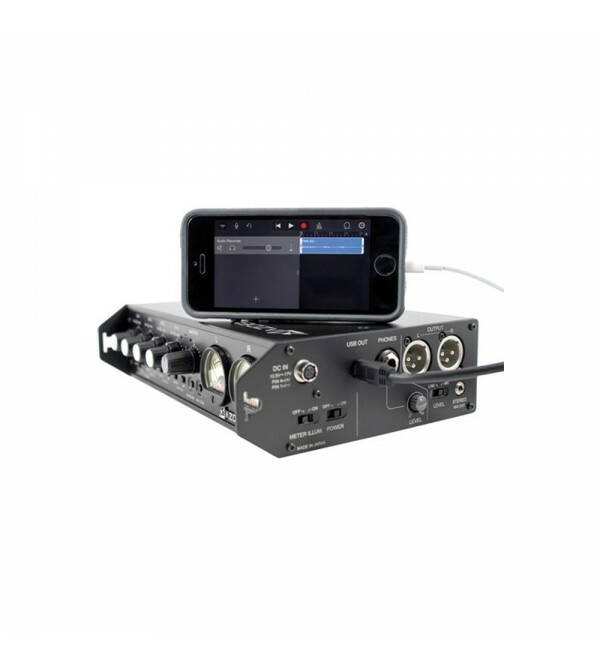 The Azden FMX-42u is a portable 4-channel audio mixer with built-in A/D conversion and audio output via mini-USB for connection to smartphones, tablets, and computers. It is designed for professional and semi-professional field audio capturing. The FMX-42u also features 4 balanced 3-pin XLR microphone inputs with individually switched +48V phantom power. 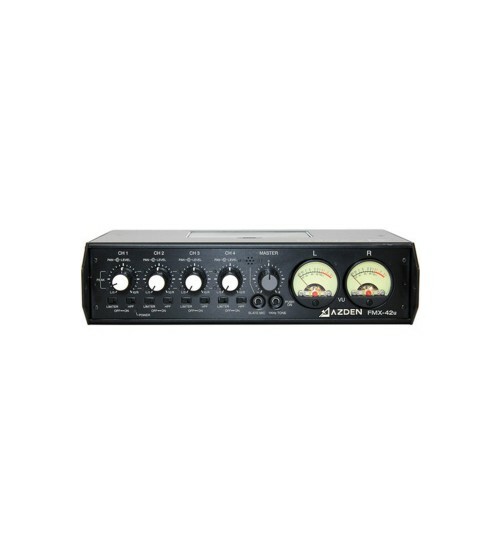 A pair of balanced XLR outputs provide line or mic level (switchable) signal to cameras, recorders, etc. 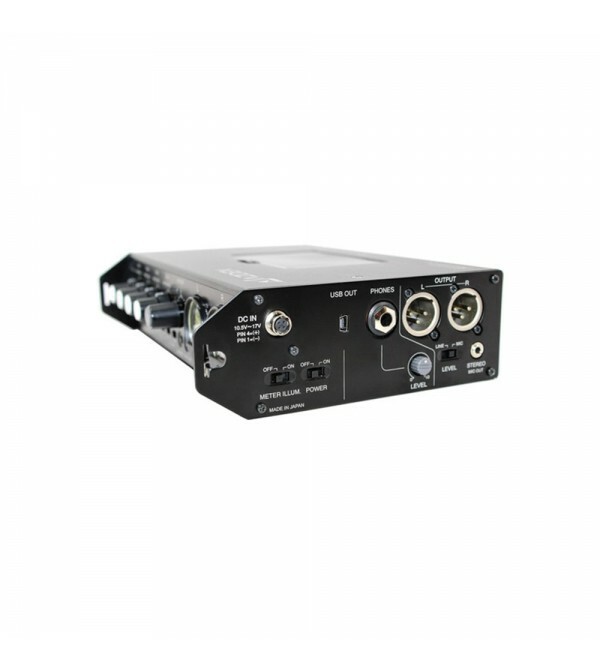 Additional features include a switchable input limiter to reduce the possibility of overload distortion, Left / Center / Right Pan switches on all input channels, and enhanced circuitry for improved signal-to-noise ratio. The FMX-42u can be powered either by 6 AA batteries or an optional 12 VDC external power supply. A ballistic nylon carrying case is included. The FMX-42u is an affordable field mixing solution for event videos, ENG/EFP applications, documentaries, and more.